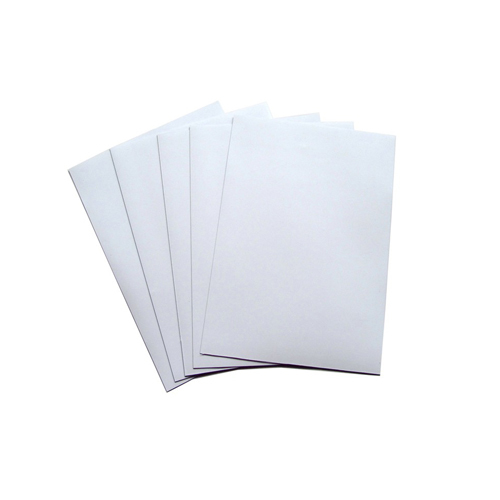 Inkjet magnetic paper is a special magnetic sheeting, it is made of flat isotropic rubber magnet with white photo paper, it is flexible, magnetic and printable for inkjet printer and laser printer. It is very thin, the total thickness is just about 0.35-0.4mm, that is 0.2mm magnet with 0.1-0.15mm photo paper, general size is A4 and A3, can be roll of 620mm wide. We have gloss and matte photo paper for your choice. It needs special technology and machine, so our minimum order quantity is 20,000pcs for sheet, or 50 rolls for magnetic roll of 620mm wide. 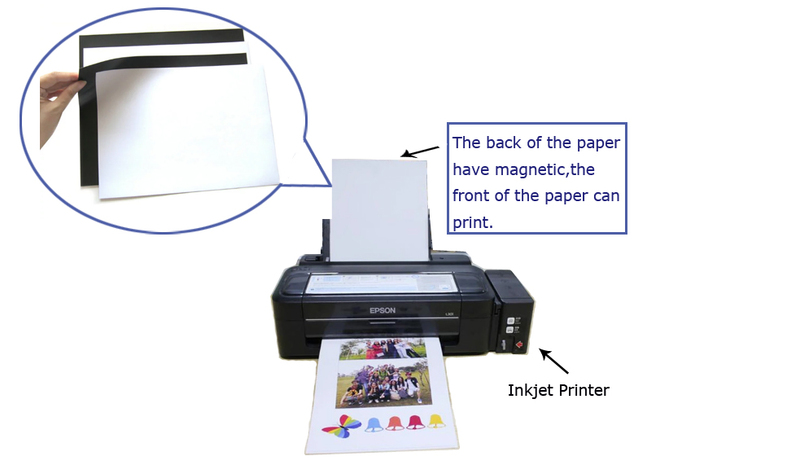 Flexible magnetic inkjet magnet lets you create your own fridge magnets, labelling systems, greeting cards or print out your favourite pictures – The possibilities are endless. Roll 12″, 16″, 26″, etc. Use Wedding photography albums, artistic pictures, family photo albums, portraiture, commercial advertising production and brochure design, etc.